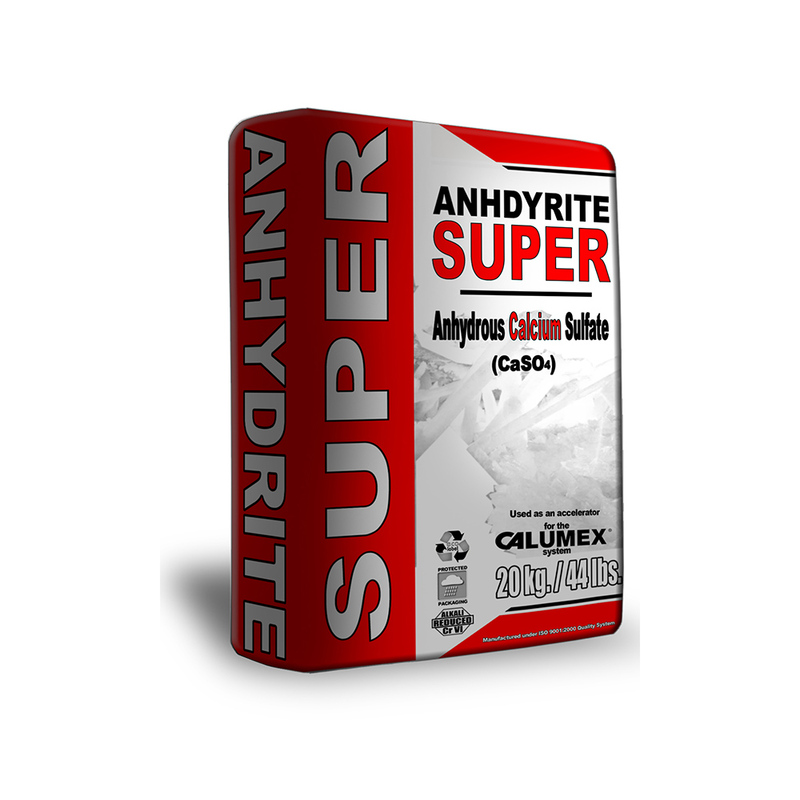 Anhydrite Super | Caltra Nederland B.V.
ANHYDRITE SUPER® is a stable finely ground synthetic anhydrous calcium sulphate (CaSO4). It is used in different kinds of building products and by the mining industry. Main application is as a binder in sulphate based self levelling screeds. Benefits over cement based self levelling screeds are rapid drying and strength gain – minimal cracking and no risk of curling. Sulphate based self levelling screeds can only be used indoors. An increasing application is found as a shrinkage reducing agent in calcium aluminate based products by the “building chemistry” industry like self-levelers, tile adhesives, tile grouts, repair mortars etc. Given the correct proportions of aluminate and sulphate ettringite is formed, calcium aluminium sulphate (CaO)6(Al2O3)(SO4)3.32H2O, reducing the shrinkage of Portlancement.